Mexico’s Federal Election Tribunal (Tribunal Electoral del Poder Judicial de la Federación, or TEPJF), has annulled the November 13 mayoral election in Morelia, Michoacán. The decision came in the early hours of December 28th, with the Electoral Tribunal citing serious irregularities in the electoral process. The TEPJF, based in Toluca in the State of Mexico, found violations to Article 41 of the Constitution of the Republic of Mexico (Article 41 regulates electoral politics in Mexico). The electrical judges were responding to a complaint from the National Action Party (PAN) that the mayoral candidate, Wilfrido Lazarus, had received support from the PRI governor Fausto Vallejo for paid television spots that were outside of the time limits set by the authorities, as well as promotion for the PRI by the boxer Juan Manuel Marquez during a fight. Vallejo Figueroa has served three times as mayor of Morelia, with his last term ending in 2011. He then ran for the governorship of Michoacán in the November 2011 gubernatorial election in alliance with the Green Party, and won a close race against the PAN with only 35.39% of the votes. 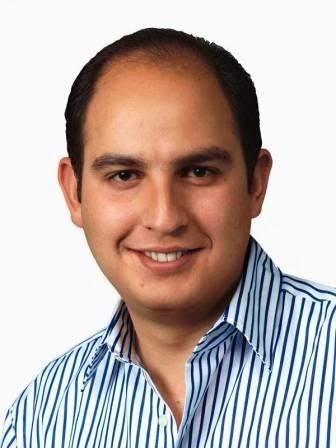 He is now governor-elect, and is set to become the next Governor of Michoacán for the 2012-2015 period. During a session that began at 11 p.m. on Tuesday the 27th, and ended around 1:30 a.m. on Wednesday the 28th, judges Paulin Carlos Morales and Santiago Nieto Castillo approved the draft resolution, with judge Adriana Herrera Favela voting against it. The decision to challenge the election came after the PAN lost to an alliance of the PRI and the Green Party, also known by its acronym PVEM. Lazarus Wilfrido Medina, who had initially won the now-annulled election, was the alliance candidate. Such alliances are not unheard of, even in mature democracies, but the Electoral Tribunal determined that a line had been crossed when the ads ran outside of the legal time limit. Then there was the issue of the boxer Juan Manuel Marquez wearing the PRI’s tricolor in a boxing match that aired nationally a day before the election. The election had been a close one, with PRI/PVEM candidate winning by only 2,317 votes over the PAN candidate. Not surprisingly, the PAN mayoral candidate, Marko Cortés, said that the cancelation of the election was “great news and a great triumph”. Next up will be another special election, with a date yet to be determined.